So many travel article ideas sound great. They really sound interesting. When you tell them to your friends, they all want you to explain more. And yet when you send them to editors, you hear nothing. I’m sitting on a Delta flight (not delayed, thankfully!) between Portland and New York right now, and I have been playing the new Star Wars movie on repeat in the background, and I kept being captivated by the visuals of a hilltop desert city with buildings carved into the stone plateau on which the city is perched. Curious where they sourced these locations, I looked up the movie’s filming locations and other stone cities like the famous Petra in Jordan and came across an amazing city in Saudi Arabia. It has long been considered a cursed place by locals (the ancient idol workshippers were reportedly wiped out with earthquakes and lightening), and Saudi Arabia has struggled to position the site for tourism since it received its UNESCO designation in 2008. Since we were already scheduled to do a webinar on how to use the Travel Magazine Database to make sure your pitches are on point today, I started thinking more deeply about this Madain Salih idea than I usually do when I’m not expressly sitting down to write pitches. who would run a round-up of Petra alternatives? would that be too many destinations in one geographic area for a lot of magazine’s round-up sections? are there really that many sections out there that cover straight attraction round-ups these days? are there publications that would be avoiding this geographic area right now? Or just don’t cover it generally because their audience might be skittish? I know this is a place when many get stuck, either before asking these questions, in trying to figure out what are the right triage questions to ask, or in trying to figure out where to get that information. That’s what we are going to tackle today at 6pm EST (note the new date and time!!) 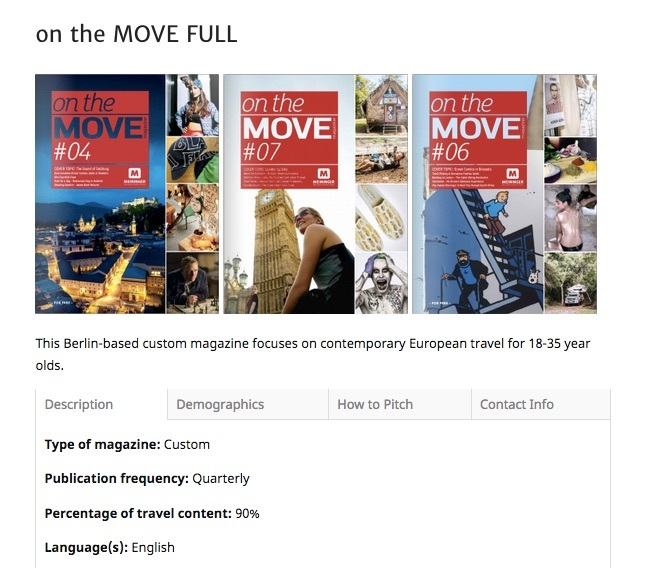 in this week’s webinar on How to Use the Travel Magazine Database to Power Up Your Pitches. I’ve billed this webinar as showing how to use the Travel Magazine Database at the request of many of our users that want some more guidance on how to move from the situation I was in above (“What a cool story idea!) to an actually publication match and pitch letter. If you don’t already have a Travel Magazine Database subscription and would like one to use to follow along on the call, Jen is watching this email closely all day and will set you up right away if you just reply to this email or your webinar registration or email us at questions@dreamoftravelwriting.com. Even if you can’t make the call live, you’ll hear your question answered in the replay. Just remember to register in advance to get the video replay via email after the call. The replay is available to registrants for one week, at which point, it is available to members of the coaching program OR for purchase on demand in our Webinar Library!